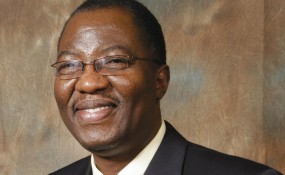 A former governor of Ogun State Gbenga Daniel has hit back at the critics of his retirement from partisan politics. "Even to voluntarily step back which ordinarily should be applauded, it's more insult," Daniel said on Monday. "I think something is fundamentally wrong with us as a people. When [a] politician fails to leave its complaint galore from the younger generation." Daniel, in a March 14 letter sent to the national chairman of the People's Democratic Party Uche Secondus, said he wanted to quit politics for personal reasons. Barely 24 hours after someone leaked the letter to the press, his supporters rejected his planned retirement but supported his decision to quit the PDP, noting that the party treated the former director-general of Atiku Abubakar's presidential campaign "with disdain". According to a communique issued by his media aide Ayo Giwa, the supporters also asked Daniel to join the ruling All Progressives Congress, whose candidate he supported in the last governorship election in his native Ogun State. Daniel said he could have supported PDP's Buruji Kashamu because he was "not acceptable to the leadership" of the PDP. However, Giwa said Daniel told his supporters, making no firm commitment, that he would consider their comments. However, Daniel rubbished media reports he has already defected, insisting he only told his supporters to join any party. "I listened carefully to them and I permitted them to join any political party of their choice since I have become non-partisan," he tweeted on Sunday night. "I did not agree to lead them to APC." He doubled down on his retirement and non-partisan claims on Monday. "This one decides to step back at the peak having successfully navigated Atiku Abubakar to victory [in the primary] before handing the baton to another DG and successfully helped others to emplace a seating Governor, you people have issues with that," Daniel said. "Tell me what exactly do people want?"